Nora has always been the sister who binds the O'Bannons together. No matter what crisis hits, smart, dependable Nora knows how to fix it. But for Nora, the pressure of perfection is taking its toll. Nora's marriage is in trouble, and she has been reluctant to worry her sisters with just how dire her situation is. Now though, faced with losing her husband, her home, and the life she's worked so hard to build, Nora can no longer pretend. As the O'Bannon women rally around her, Nora begins to see that failure is nothing to fear. It's like they say in the bakery: if you want to make something good, you can't be afraid to get messy. 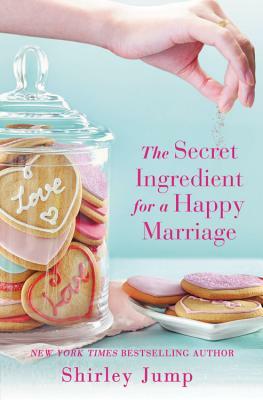 When her husband returns, asking Nora to give their family a second chance, Nora must decide if their relationship can be saved-or if it's time to throw out the old recipe and start from scratch. When she's not writing books, New York Times and USA Today bestselling author Shirley Jump competes in triathlons, mostly because all that training lets her justify mid-day naps and a second slice of chocolate cake. She's published more than 60 books in 24 languages, although she's too geographically challenged to find any of those countries on a map. Visit her website at www.ShirleyJump.com for author news and a booklist, and follow her on Facebook at www.Facebook.com/shirleyjump.author for giveaways and deep discussions about important things like chocolate and shoes.